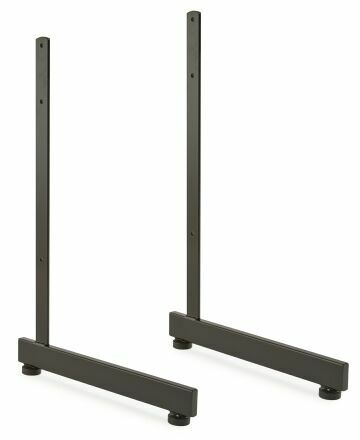 Make a perfect free-standing display that goes against wall with a pair of 12" wide legs for grid or slatgrid. Screws and levelers included. 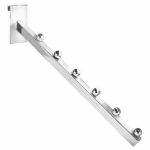 Designed to support only 1 panel; legs protrude 12" on the front when attached to gridwall. 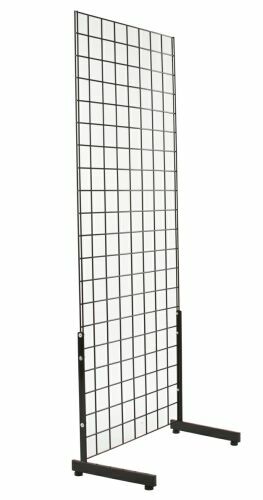 Suggested to be used with gridwall panel up to 6' tall not higher. Sold in pairs only. Item #: GWL-3 Price: $17.50 per pair. Colors: black, white, chrome.